For many artists and professionals, life can move through phases. Times of great productivity and positivity may be countered by periods of hardship and loss. But a strong spirit embraces resilience, and that is often how the creative types persevere after sorrow. Arizona-born artist, writer, and entrepreneur Toni Ross exemplifies this spirit of resilience. Ross’s projects include the Jerome Indie Film & Music Festival, which is entering its seventh year, and the soon-to-launch Arcosanti International Film Carnivale, which debuts on April 26. When Ross approached the Arcosanti Foundation with the idea, they agreed to host the event as a partner, allowing her to use their non-profit status, but without providing financial support. The Arcosanti International Film Carnivale will feature diverse programming including educational workshops, film screenings, and events connected to sustainability and conservation. Ross says there will also be art exhibitions, live music, food trucks, an arts-and-crafts mercado, and panels on sustainability and organic living.“There are many different elements, including a carnivale-inspired dress-up ball on Saturday night. It’s really going to be like a three-ring circus,” Ross says. “This is Arizona’s first and only all-documentary film festival,” says Ross. She credits Jason Ryan, her partner and festival co-founder, for putting together all the logistics. “On our first date, I told him that I wanted to do a film festival in Jerome,” she says. “He was there every step of the way to help me realize this vision. I couldn’t have done it without him. He often says that I’m the one with my head in the clouds and he is the one with his feet on the ground,” she says. 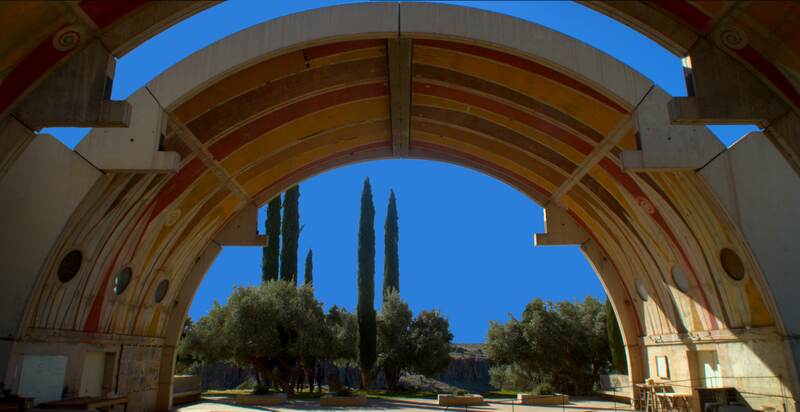 Ross and Ryan plan to utilize many of the on-site venues and activate different spaces around Arcosanti in unique and creative ways, similar to what they do in Jerome. She says they will use the Red Room, which holds 75 people, as one of their screening venues. They will also utilize the café (seating 200) as a nighttime screening venue, as well as a third space on-site that hosts about 60 people. Filmmakers and volunteers will stay at accommodations in Camp Verde. Ross says that another theme of the festival will focus on celebrating Native American cultures. 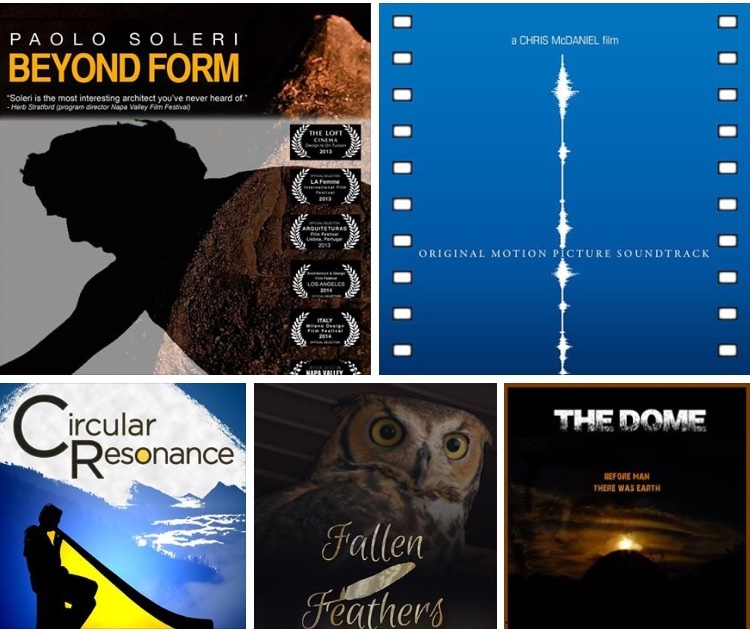 One of the featured films explores the spiritual relationship between the Hopi people of northern Arizona and the Grand Canyon. Another featured film, Before the Plate, is a Canadian documentary about a chef who creates a dish and then follows each of the ingredients back to its origins. The chef explores how and where the produce was grown, how the animals were treated, and so forth. After the screening, organizers will host a panel talk with several Arizona chefs to discuss locally sourced products and menus. Heard Museum has agreed to partner and sponsor the opening night festivities. Organizers plan to showcase non-profit organizations from around Arizona. The non-profit groups will have the chance to talk before screenings and invite community members and attendees to participate. Another branch of the festival, Eatosanti, features food trucks with flavors from around the globe, Ross says, including empanadas, Belgian waffles, French beignets, and Native American fry bread. “We knew we were going to do a cake-making contest,” says Ross. The inspiration came from the fantasy cakes in the film Marie Antoinette. Ross decided to invite cake bakers to participate and compete. The company Morsel Confections LLC will host the contest. Bakeries can submit up to three cakes, and festival attendees will take part in the tasting and judging. From her personal history growing up in Arizona, Ross remembers Arcosanti being constructed in the 1970s. “I literally watched it grow from when I was six or seven. One of the main structures was just being built back then. Ironically, at that time, Jerome was crumbling down the hill – a desolate ghost town. 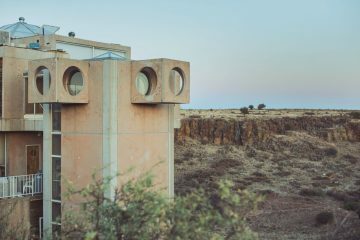 Now it’s an international hot spot.” Arcosanti has also seen its ups and downs, but the site has seen a resurgence thanks in part to the success of the FORM music festival – making now the perfect time to launch Arcosanti Film Carnivale. Over the course of her life, Ross has worked as a paralegal on and off, vacillating between the professional world and her creative life. Her parents instilled a true love for the entire state of Arizona in Ross and her siblings. The family would take weekend trips to many small towns. “I think I really just wanted to be Pippi Longstocking,” she says, citing the free-spirited, hippie dippy, rainbow-socks-wearing girl featured in a series of children’s books by Astrid Lindgren. Ross says whenever it was her turn to pick a weekend destination, she would choose Jerome. 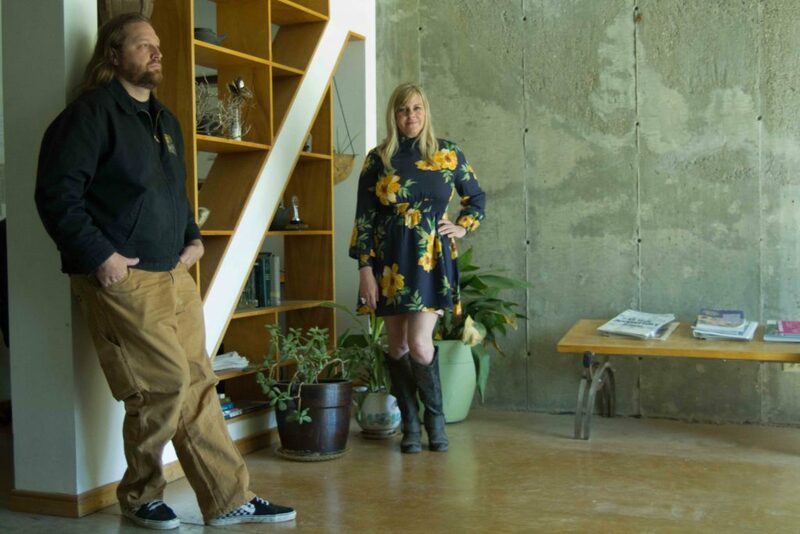 “It was a crumbling ghost town at the time, with hippies squatting in all corners.” On the other hand, she recalls Arcosanti being brand-new, a town that was meant to house 5,000 people. “As a kid, I just couldn’t wait to live there!” she says. Her boss insisted she expand on the idea, and Ross began to produce the painted teddy bears for Desert Digs boutique, which ordered dozens right from the start. Ross named her fledgling business Southwest Critters, and it was in operation from 1991 to 1997. “I was selling the bears all over the United States. They were at Phoenix Zoo, Sky Harbor, and in many shops and galleries in Sedona and Scottsdale – even New York, Albuquerque, and Santa Fe,” she says. 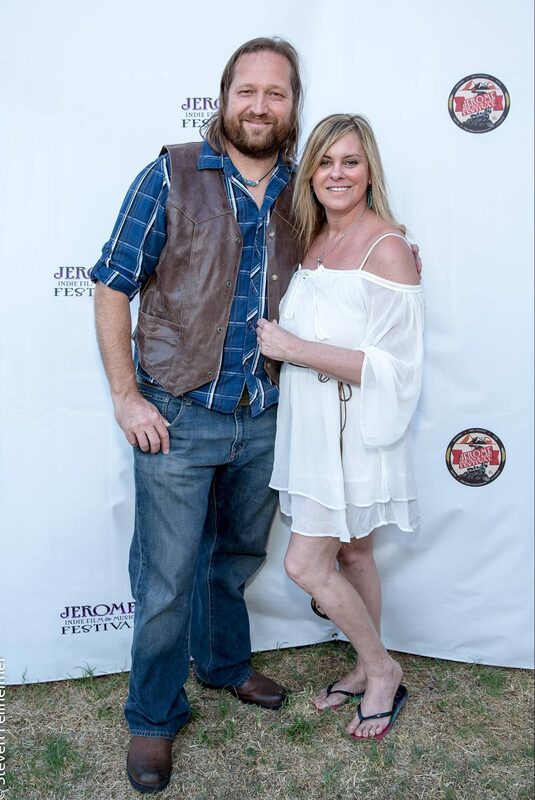 Before Ross leapt into the Jerome Indie Film & Music Festival, her other creative ventures supported the visual arts. She started an art gallery inside the Monastery II in Peoria and ran it from 2003 to 2007. Her gallery was called The Enchanted Mission. “I saw this little space upstairs, so I approached the owners and asked if I could put a gallery there, and they said absolutely.” Ross sought out underrepresented artists wherever she could find them, even at swap meets. “I loved doing that,” she says, “finding artists.” She once met a gentleman on the side of the road in Cottonwood. He had one arm but was welding giant metal pieces to make eight-foot-tall painted roses. She went on to represent him. Later, during a trip to Jerome, she found a retail space available and opened her second location. But life shifted directions for Ross yet again, when she found herself going through a divorce. Subsequently, she lost the galleries. What followed was a very dark time for her. She lost all of her possessions – everything she had in storage. At one point, she was sleeping on the floor of her mother’s house. It was after this period of hardship and loss that Ross shifted her focus to the film festivals. She had been to Telluride years before and remembered seeing flyers for the festival up there. This sparked her dream to do something similar in Jerome, so she began planning and organizing. 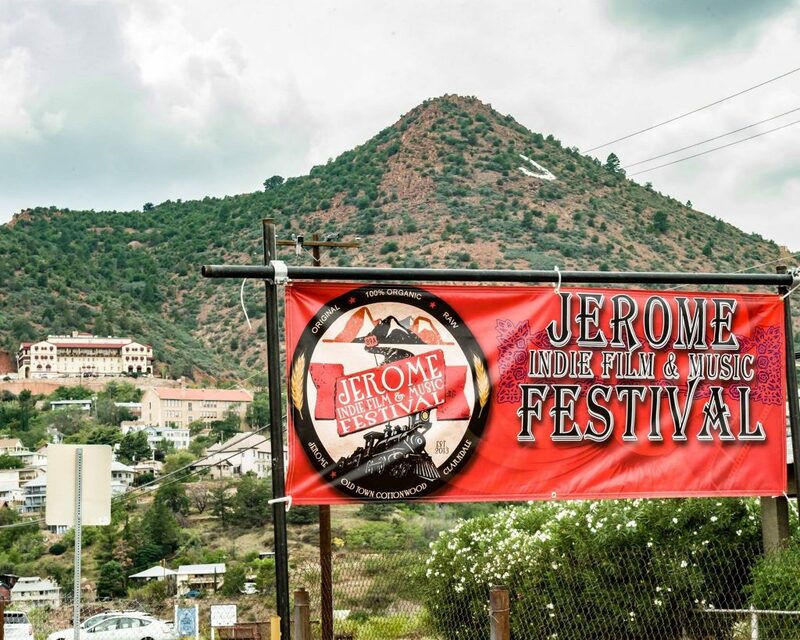 In 2017, the Jerome Indie Film & Music Festival was named one of the “25 Coolest Film Festivals in the World” by MovieMakermagazine. “It’s really a family affair,” Ross says. Her son, Chase Roper, serves as the operational director, and her daughter, Taylor Roper, is the assistant director. 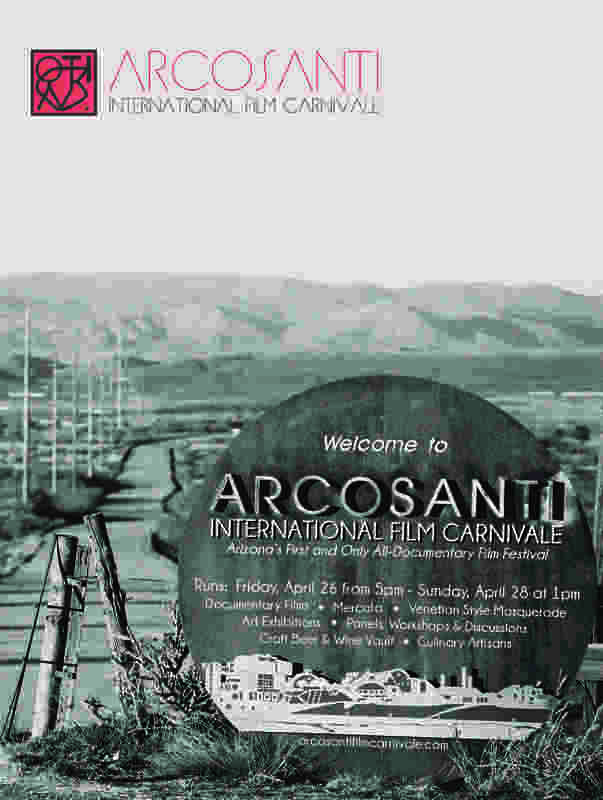 The first annual Arcosanti International Film Carnivale will take place April 26-29, with an opening party on Friday night in the Colly Garden featuring light hors d’oeuvres and Arizona wines. Guests are invited Friday night to watch a bell pour in Arcosanti’s foundry before heading to the café for the opening night film showcase. When Ross was a 10-year-old girl, she begged her father for a Soleri bell but he refused, thinking she would probably break it. Now 43 years later, Ross will be awarding those bells as prizes to the winning filmmakers. Cost for attendance ranges from $20 for a one-day pass on Sunday to $300 for a VIP weekend pass. At prices ranging from $25 to $40, guests can also add access to the Wine Vault and receive six to eight tasting tickets. VIP dinner passes include meals for each night.